What do the following all have in common: Sepp Maier, Ubaldo Fillol, Toni Schumacher, Joel Bats, Jean Marie Pfaff, Chris Woods, Bodo Illgner, Peter Schmeichel, Jorge Campos, David Seaman, Claudio Taffarel, Andreas Kopke, Dida, Julio Cesar? They were or are world beating, truly legendary goalkeepers, obviously, but what else? Answer: they are all goalkeepers who have played at the highest level of football wearing Reusch goalkeeper gloves. Many, many world and European champions, at club and international level, so many true goalkeeping greats – Reusch is a brand whose history has always been closely entwined with goalkeeping legend and folklore. Fortunately, the quality and reputation of Reusch’s goalkeeper gloves continues to live up to the company’s great name. 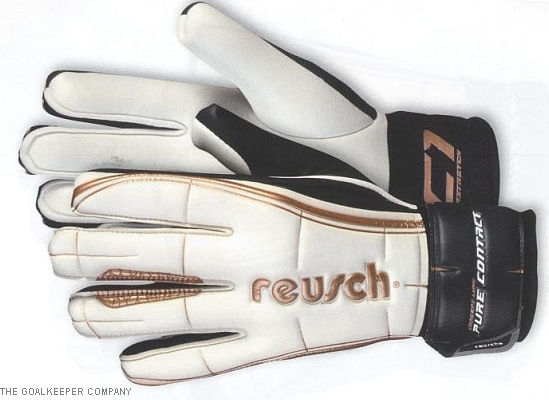 Arguably, where Reusch stands out most is in its attention to detail. Many brands today are capable of producing high quality goalkeeper gloves, with top performance latex foams, good construction and fit, and innovative technologies. But consistently across its ranges of gloves, Reusch manages to go beyond the general standard of quality, and is well known among goalkeepers for this. 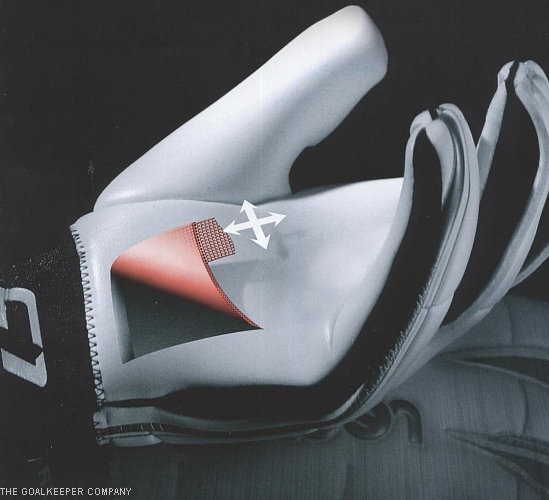 With 2008’s Reusch Goaliator Pro goalkeeper gloves, for example, almost every inch of the glove seems to feature some different use of materials, colours or technology. The backhand of that glove is produced from many separate pieces of material, at greater difficulty of production and probably cost, but it is features like these that set the gloves apart. At the very top end of the range, this is reflected in the prices – Reusch, along with a small number of other goalkeeping specialists such as uhlsport and Sells, is one of the few contemporary brands confident enough to produce a pair of goalkeeper gloves for sale at £80. So the 2009 range, as every year, will be released with huge expectation. Here we give one of the first public profiles available anywhere of the new Reusch range of goalkeeper gloves, most of which will be available from early 2009. Reusch has opted for an interesting split in the new 2009 range, dividing the range of goalkeeper gloves between the more conservative and the more progressive. On the progressive side, the Reusch “Raptor” range is added to the existing Reusch “Goaliator” range (which will still be available throughout 2009), and continues in very much the same spirit. The colour schemes are maintained, and the visual design is very much in the same mould, although with some interesting cosmetic innovations. More on that coming soon! But this week we look at Reusch’s move to the more traditional and classic visual appearance, with the Reusch Pure Contact (aka ‘The Gentleman’) goalkeeper gloves. This development from Reusch can be seen as part of a trend forming over recent seasons, with the increasing popularity of the negative cut goalkeeper glove. Many pro keepers like Van Der Saar and Cech are now wearing negative cut gloves, partly because of their ability to give a more natural ball feel. 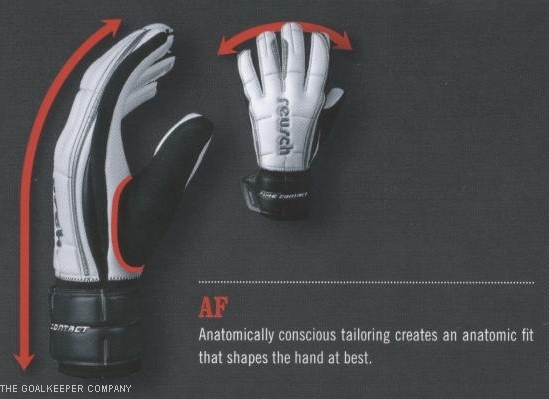 Although the Reusch Pure Contact goalkeeper glove is still in fact essentially a pre-curved flat cut glove, rather than a fully negative cut glove, the Cyberstretch fabric aims to continue and develop the ability to give a very close and natural ball feel, by enhancing the sense of contact between the hands and the ball via the gloves. Also aiding this close and natural fit, the Reusch Gentleman features a unique “inserted thumb”, with negative stitching creating a very close fit to the hand, as with negative cut gloves. In fact, the backhand of the Pure Contact glove is also constructed from C1 Cyberstretch material, meaning that the whole glove shares the C1 material’s flexible properties. Cosmetically, the Reusch Pure Contact goalkeeper gloves are a real step away from the Reusch ranges of recent seasons, and a really interesting new development from them, with a much more classic and simple colour scheme and plainer one piece glove backhand. The Pure Contact glove comes in black and gold or white and gold, with the options of a full latex wrist strap, or a neoprene strap for wet conditions. In the coming weeks we look at the rest of the 2009 Reusch range, including the classic ‘Core Function’ line, and the excellent new ‘Raptor’ models.